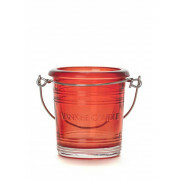 A cute, gleaming red bucket style votive holder from Yankee Candle. 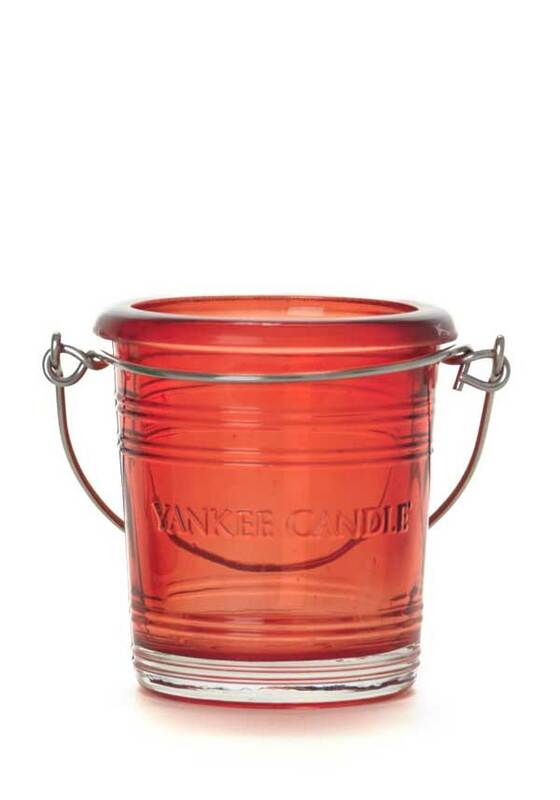 With a sturdy metal handle for easy transportation, or even to hang your candle up. With embossed Yankee Candle Logo to the front. Ideal for use in the home or the garden.